Dubbed ‘the day it became cool to be anti-racist’, the Carnival galvanised North West communities against racist groups, including the National Front. A rally of 15,000 people marched all the way from Strangeways prison to Alexandra Park joining a further 25,000 for an afternoon of music, dancing and unity. Co-organised by Geoff Brown of the Anti-Nazi League (ANL) and Bernie Wilcox of Rock Against Racism (RAR), the Carnival featured incendiary live performances by pop-punk superstars Buzzcocks and Steel Pulse, the UK’s leading reggae band of the period. 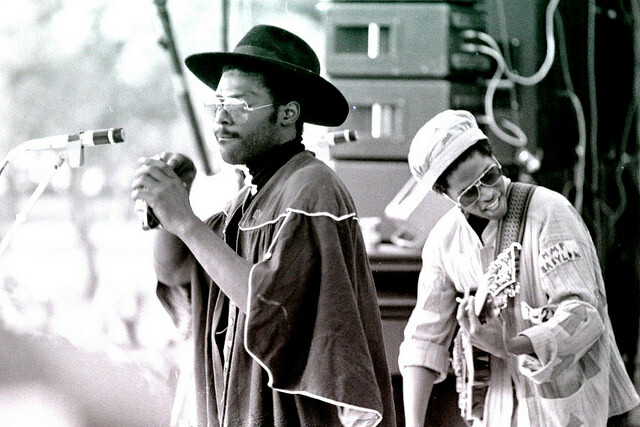 Support came from Moss Side reggae band Exodus (later X-O-Dus) and China Street from Lancaster, who had released a single on EMI called ‘Rock Against Racism’. We Are Dynamite! – an exhibition of unseen photos and ephemera curated by Abigail Ward – aims to highlight the passion and excitement of the day whilst inspiring visitors to reflect upon a new era of challenge for people opposing messages of racism and division across the world. Mon Sep 3rd-Sat Sep 22nd (Mondays to Saturdays) 10am-7pm and is FREE. Please note: this is a community project in a volunteer-run venue. Thanks to National Lottery players, Heritage Lottery Fund invests money to help people across the UK explore, enjoy and protect the heritage they care about – from the archaeology under our feet to the historic parks and buildings we love, from precious memories and collections to rare wildlife. Futura are the north’s leading Rec2Rec headhunting specialists. Established in 2001, they provide experienced recruitment professionals to the very best recruitment agencies in the country. We Are Dynamite! – an exhibition of unseen photos and ephemera – aims to highlight the passion and excitement of the day whilst inspiring visitors to reflect upon a new era of challenge for people opposing messages of racism and division across the world. Join us for drinks and conversation from 6.30pm. Special guests: Honey and Patrick from Exodus. The exhibition will run from Mon Sep 3rd-Sat Sep 22nd 10am-7pm and is FREE. 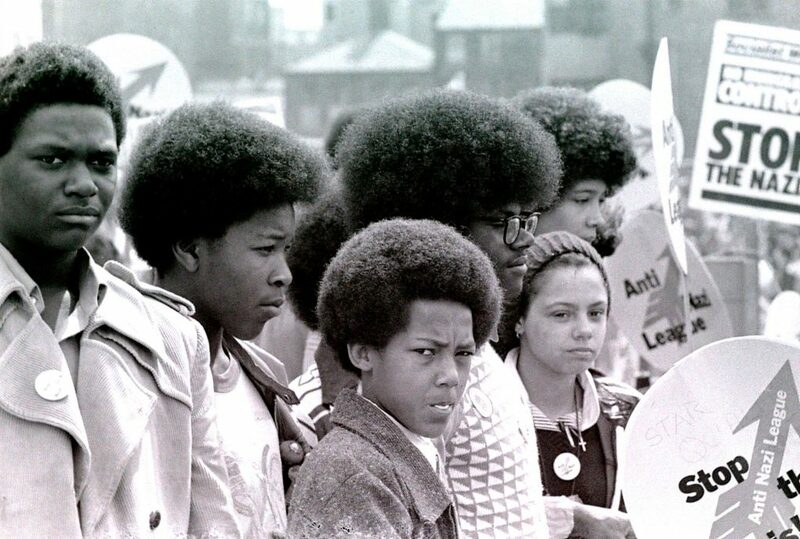 The Northern Carnival against the Nazis – a rally and concert held on 15 July 1978 in Moss Side, Manchester – was a defining moment in establishing anti-racism in the city and beyond. The 15,000 people who marched across town and the 40,000 people who danced in Alexandra Park that day didn’t just make racism no longer respectable. They made it uncool. Co-organised by Geoff Brown (the Anti-Nazi League) and Bernie Wilcox (Rock Against Racism), the Carnival featured incendiary live performances by Buzzcocks, Steel Pulse and Moss Side reggae band Exodus. They were joined by post-punk bands Gang of Four, Frantic Elevators and others, who played on trucks to accompany the marchers. To celebrate this pivotal moment in Manchester’s fight against racism, Manchester Digital Music Archive and the Ahmed Iqbal Race Relations Resource Centre have brought together the original organisers of the Carnival for a panel discussion and all-day event exploring its impact and continuing relevance today. This event will also be the official launch of our Heritage Lottery-funded project and exhibition celebrating the Carnival. 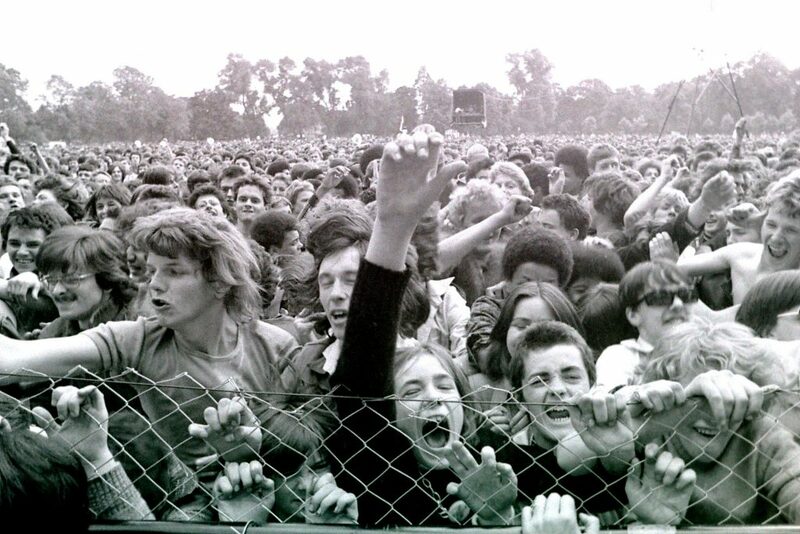 On July 15th 1978, Ramila Patel of Bolton Asian Youth Movement addressed a crowd of 15,000 anti-racism protesters that had amassed in the car park of Strangeways prison to march across town to Alexandra Park in Moss Side – the main site of the Northern Carinval Against the Nazis. 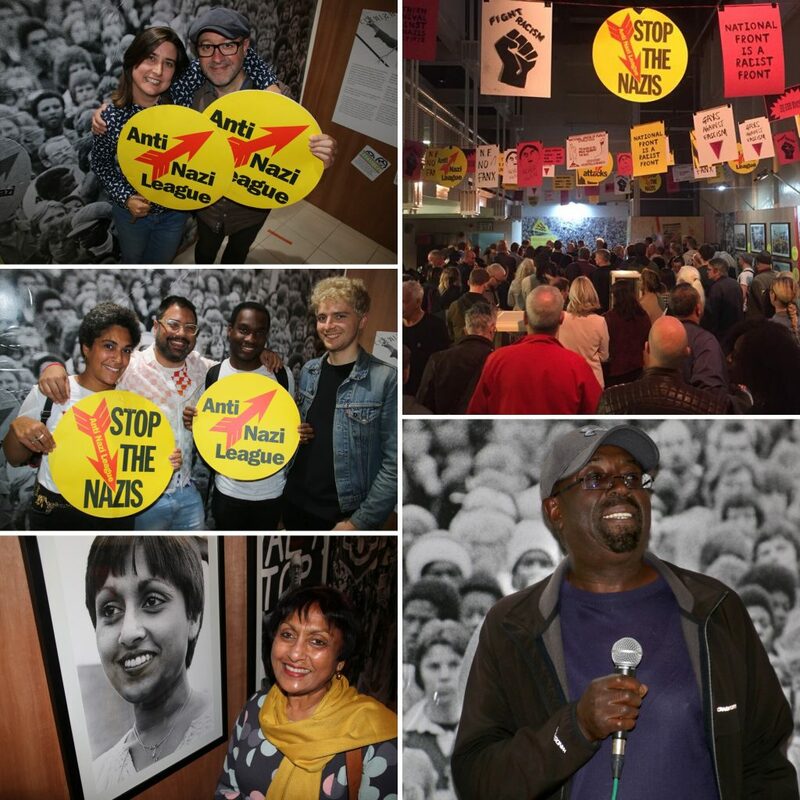 Ramila was asked to give the address by Anti-Nazi League organiser Geoff Brown, following her brave stance against National Front leader Martin Webster at a previous demo, in which she marched alone in defiance of Webster holding a placard saying ‘This man is a Nazi’. Ramila is now Head of Visual Arts at Waterford Kamhlaba United World College of Southern Africa. Bernie Wilcox was the original organiser of Rock Against Racism in Manchester and was, with Geoff Brown of the Anti Nazi League, one of the instigators and prime movers behind the Northern Carnival Against The Nazis in 1978. Bernie has since forged a successful business career owning specialist recruitment businesses. Anti-racism, socialism and music are still close to his heart. Geoff became a revolutionary socialist at university in 1968, active in the campaign against the US war in Vietnam. His first arrest was for chalking slogans on his college wall, his second for obstructing a police officer at an anti-National Front protest. Joining the International Socialists (from 1977 the Socialist Workers Party) he moved to Manchester in 1972. 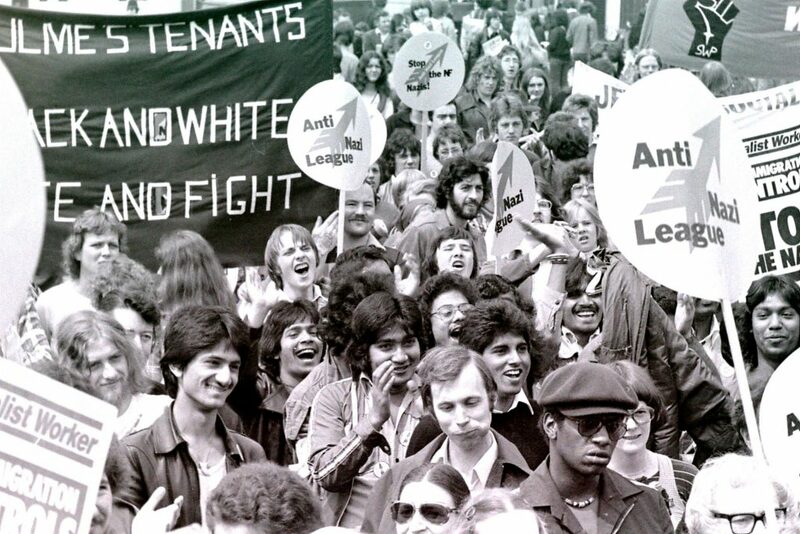 When the Anti Nazi League was founded in late 1977 he became its Manchester organiser, helping saturate the city with leaflets, badges and protests and getting fifty coaches and minibuses, about 2,500 people, to the first Anti Nazi League/Rock Against Racism carnival in London in April 1978. Geoff went on to be a union tutor, working with shop stewards and on projects abroad, particularly in Pakistan. He was union branch secretary till he was victimised for his trade union activity, after which he was a part time official for his union, finishing in 2015. He is now active as a historian of Manchester ‘from below’.